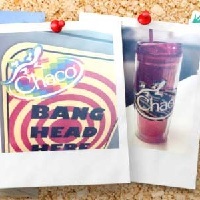 Free Chaco stickers. Chaco seems to specialize in flip flops and other footwear. I could use new and good flip flops since the ones my wife buys for me fall apart after a month.